The Independent School Entrance Exam or ISEE is used for admission to many private elementary, middle, and high schools. This test measures verbal, math, reading comprehension and essay writing skills. 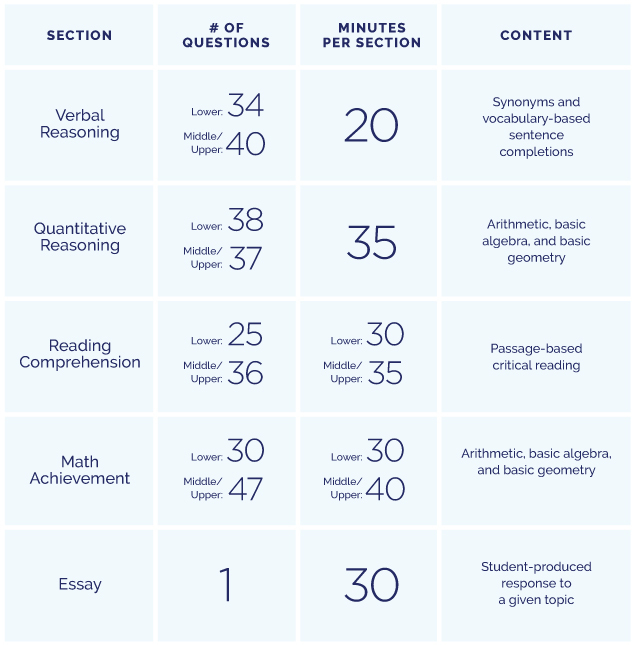 The ISEE format for all students is similar, but the content is divided into three grade specific iterations; lower level (grades 4-5), middle level (grades 6-7) and upper level (grades 8-11). For all students, we suggest taking an initial practice test ahead of time to determine individual needs and necessary timing. In general students should begin preparing about six to eight months in advance. Students may register to take the ISEE up to three times in a 12-month admission cycle, once in any or all of three testing seasons. The seasons are Fall (August–November), Winter (December–March), and Spring/Summer (April–July). How does the scoring system work? Another way to look at the scoring is this: a 9 is an ‘A+’, an 8 is an ‘A’, a 7 is an ‘A-‘, a 6 is a ‘B’, a 5 is a ‘B-/C+’, and a 4 is a ‘C-‘. You’ll notice from looking at the chart that very few students receive 9’s (only 4%), whereas many students receive 5’s (20%).